In a systematic review and meta-analysis Murdoch Leeies et al. tried to evaluate the efficacy and safety of high-flow oxygen via nasal cannulae (HFNC) compared to non-invasive ventilation (NIV) and/or standard oxygen in patients with acute, hypoxemic respiratory failure. The researchers reviewed randomized controlled trials from CENTRAL, EMBASE, MEDLINE, Scopus and the International Clinical Trials Registry Platform (inception to February 2016), conference proceedings, and relevant article reference lists. Two reviewers independently screened and extracted trial-level data from trials investigating HFNC in patients with acute, hypoxemic respiratory failure. Internal validity was assessed in duplicate using the Cochrane Risk of Bias tool. The strength of evidence was assessed in duplicate using the Grading of Recommendations Assessment, Development and Evaluation framework. Our primary outcome was mortality. Secondary outcomes included dyspnea, PaO2:FiO2 ratio, PaCO2, and pH. Safety outcomes included respiratory arrest, intubation, delirium, and skin breakdown. From 2023 screened citations, we identified seven trials (1771 patients) meeting inclusion criteria. All trials were at high risk of bias due to lack of blinding. There was no evidence for a mortality difference in patients receiving HFNC vs. NIV and/or standard oxygen (RR 1.01, 95% CI 0.69 to 1.48, I 2 = 63%, five trials, 1629 patients). In subgroup analyses of HFNC compared to NIV or standard oxygen individually, mortality differences were not observed. Measures of patient tolerability were heterogeneous. The PaO2:FiO2 ratio at 6–12 h was significantly lower in patients receiving oxygen via HFNC compared to NIV or standard oxygen for hypoxemic respiratory failure (MD − 53.34, 95% CI − 71.95 to − 34.72, I 2 = 61%, 1143 patients). There were no differences in pH, PaCO2, or rates of intubation or cardio-respiratory arrest. Delirium and skin breakdown were infrequently reported in included trials. It was concluded that in patients with acute hypoxemic respiratory failure , High-flow oxygen via nasal cannulae (HFNC ) was not associated with a difference in mortality compared to Noninvasive ventilation or standard oxygen. 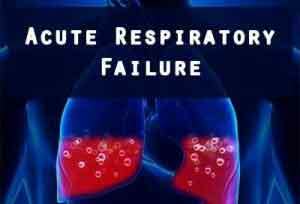 Prospective trials designed to evaluate the efficacy and safety of HFNC in patients with acute hypoxemic respiratory failure are required.